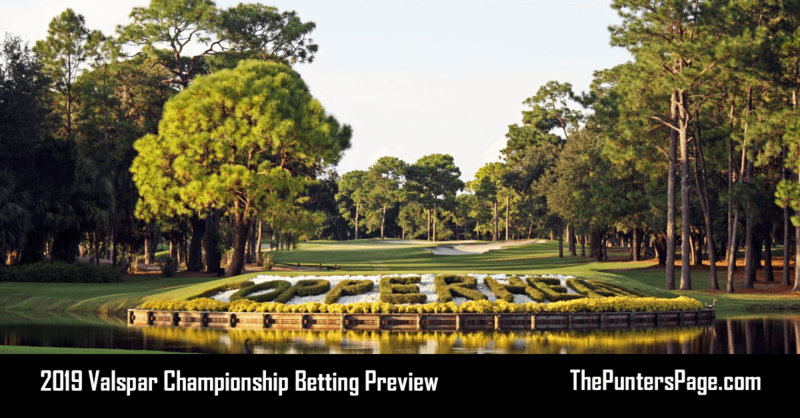 Golf specialist Rob Taylor (@RobTaylorSport) previews the 2019 Valspar Championship and provides us with his best bets for this week’s event. We lipped out last week at The Players Championship, with tournament picks Jason Day and Hideki Matsuyama (both 40/1) coming in a tie for 8th spot. My picks were based on a pay out for the top 6, so although many of you would have selected them with bookmakers offering 8 or even 10 places, it means my preview didn’t make a return last week. It was a cracking week at Sawgrass however, with lots of drama and a whole host of players with a chance of winning, before Rory McIlroy closed it out down the stretch, with a first PGA Tour win in over a year. We go again this week, with the final week of the Florida swing and a real golfing test at the Valspar Championship. The field is a decent one, but obviously not at the depths of last week. Paul Casey defends his title, with other notable players including, Dustin Johnson, Jason Day, Jon Rahm and Sergio Garcia. Recent winners include; Paul Casey -10, Adam Hadwin -14, Charl Schwartzel -8, Jordan Spieth -10 and John Senden -10. 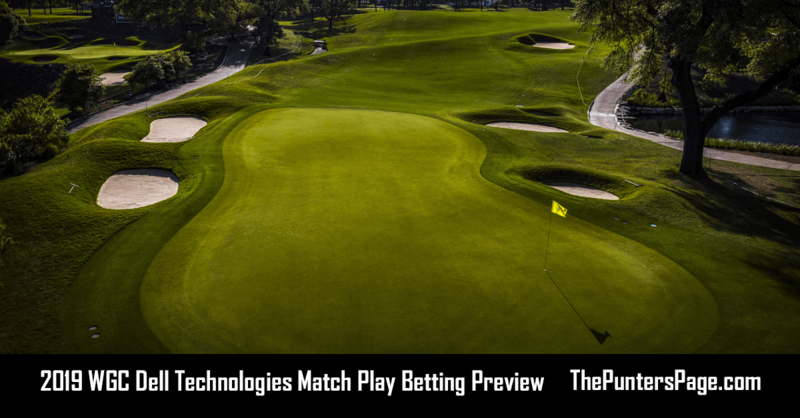 Copperhead is one of the toughest tracks on the PGA Tour, famed for “The Snake-Pit”, the closing three holes epitomise the strength of test that awaits the players this week. A 7,340 par 71 course designed by Larry Packard, Copperhead unusually has a mix of 5 par 3s and 4 par 5s, making scoring and performance on those holes this week crucial. It’s typically a firm and fast tree lined golf course, where the wind can play its part, therefore ensuring that approaches into these Bermuda grass greens are on point, is a must. Copperhead is a tough golf course and not one that I believe can simply be overpowered. Patience and bogey avoidance are crucial here if a competitive score is to be achieved. I’m therefore selecting three players that I believe have the right temperament and course history to challenge for the title. 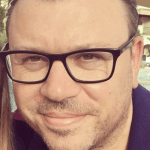 Tied 16th whilst defending his title last week, Simpson continued his steady run of form, which has seen him achieve five top 20 finishes in his last seven starts. He sits 17th in approach, 10th in scrambling, 30th in par 5 performance, 38th in par 3 performance and 4th in bogey avoidance, so his game is clearly ticking along nicely. Simpson finished 8th here last year, at a course where he has also finished 2nd back in 2011, 10th in 2012 and 17th in 2013. He clearly likes it at Copperhead, so combined with his calm temperament and decent current form; I think he can really mount a challenge this week. Strangely Reed doesn’t really hit the mark in many of the key stats I looked at this week, but having watched him play in recent weeks, something just drew me to the American for this week. His record here at Copperhead is very hard to ignore. He finished 2nd last year, 7th in 2016 and 2nd again in 2015. Reed also compiled 6 top 25 finishes in a row at the beginning of the year, including 13th in the Sony Open, 13th at the Farmers and 14th at the WGC Mexico, so he is trending as the hipsters say. 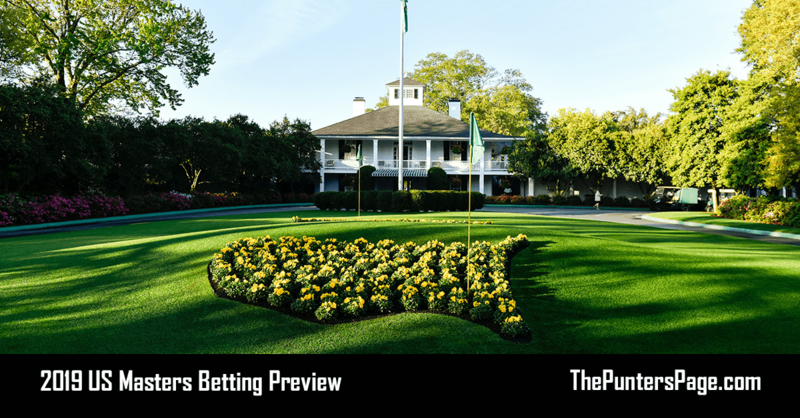 The past two weeks has seen a slight drop off in performance, including a 46th last week at The Players, which was only due to a disappointing final round, but for which he could have made a solid top 10. Reed loves this type of putting surface; in fact he has won 4 times on them. He’s currently 29th in putting and 18th around the green and I fancy the American to properly kick start his season this week, ahead of his defence at the Masters next month. Snedeker’s performance at The Players last week has clearly put the American on a lot of people’s radar this week. The early 66/1 was snapped up pretty quickly on Monday, but at 50/1 he still represents very decent each way value to me. With a new coach on board, Snedeker’s 5th place last week sets him up nicely for the Masters, with his spot now guaranteed. He should also thrive on the challenge at Copperhead this week, with a tight, fast and potentially windy challenge that awaiting. On a course where a hot putter and the ability to grind out a score is clearly beneficial, his 8th place in 2008 and 4th place in 2011, shows that he can contend at Copperhead. Snedeker is also another lover of these putting surfaces, collecting three PGA Tour wins on them, so given that he his is currently 11th in strokes gained putting and 18th in par 5 performance I just couldn’t leave him out this week. Other players to note: Three players that came close to selection this week were; Sergio Garcia 16/1, Keegan Bradley 40/1 and Kevin Kisner 45/1.